Learn about your natural strengths and what motivates you through taking one (or both!) of our career assessments. Completing this online talent assessment is the first step in discovering what you naturally do best and then learning how to develop your greatest talents. To better understand what your underlying motivators are—those things that get you up in the morning and working late into the night—take PRINT. Contact Allyson Dhindsa to learn more about each assessment tool and to access your very own login information. One of the best takeaways from a USC education is your lifelong membership into the Trojan Family. The USC Price Professional Mentor Program is just one way our students leverage this resource. PPMP matches students with professionals for the full academic year. Mentors serve as role models, offer advice on academic and career goals, and guide students as they develop their professional network. “ My experience with the Professional Price Mentorship Program was very positive. In my first year, I was connected with Rama Murty from the City of Berkeley. He provided me with invaluable insight related to choosing classes, applying for internships, and professional etiquette. He also helped me figure out that I wanted to focus my job search in the public sector,…and we have stayed in touch well beyond the scope of the program. On top of checking in and offering advice, he took care to share job openings with me. Now, thanks to his help, I have accepted a full-time job before graduation! The best way for an individual to learn about his or her field of interest is to go directly to the source, and that is what we facilitate for our outstanding students. 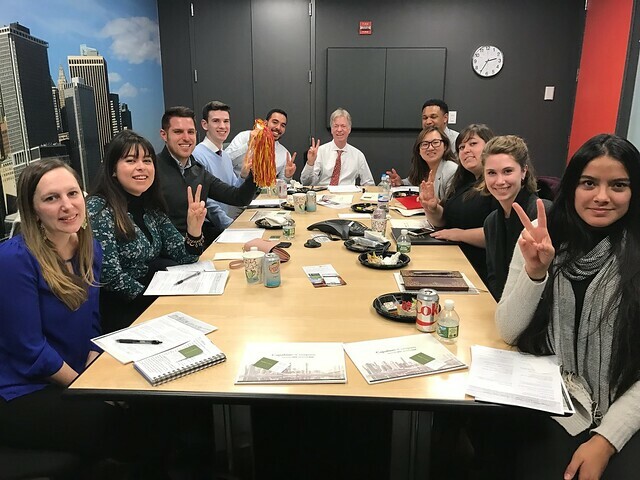 This past year, Career Services partnered with Development to bring ten of our students to New York City over Spring Break and twelve to Washington D.C. in the fall. Students return from these experiences with a deeper understanding of what they want to pursue after graduation and an enhanced appreciation of the power of the Trojan Network. In New York, we visited: Capalino & Company, NYC Office of Management and Budget, NYC Department of Transportation (to name just a few) and in D.C., our students met with alumni at Senator Schumer’s Office, Deloitte and the National Counterterrorism Center. Launched in the Fall of 2017, My Career Essentials are tailored programs just for undergraduates. As previous students ourselves, we understand how overwhelming it can be to fulfill your academic requirements, stay involved in extracurricular activities, hang out with your friends, sleep, eat, breathe, and then…you are expected to get an internship or job on top of that! My Career Essentials will give you the basic tools to ensure that staying on top of everything is fun and exciting. We cover: resume, cover letter, internship/job search, your online brand, networking and LinkedIn.